Hidden Oaks Point is a large south-facing point that includes a dry bluff prairie and a small mesic prairie remnant, surrounded and interspersed with overgrown remnant savanna woodlands. 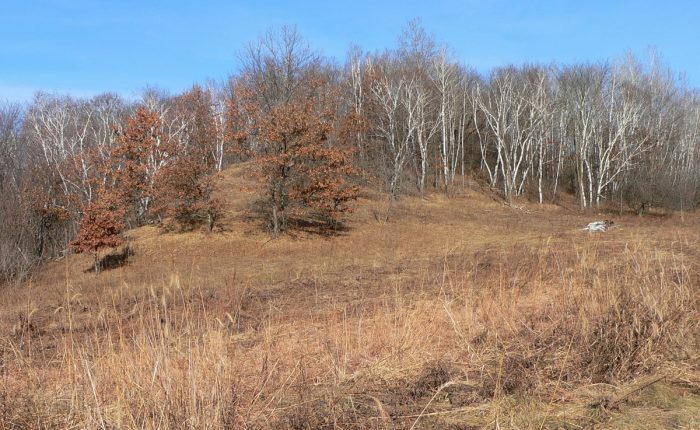 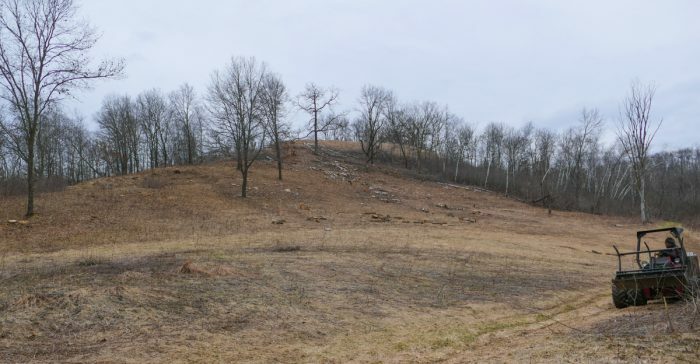 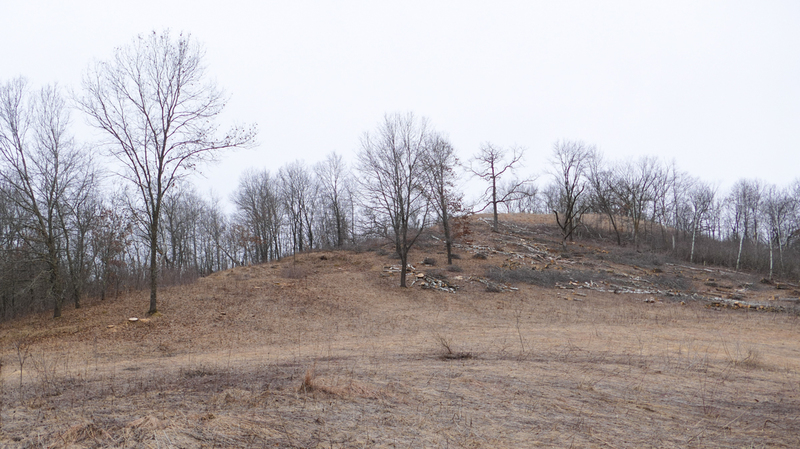 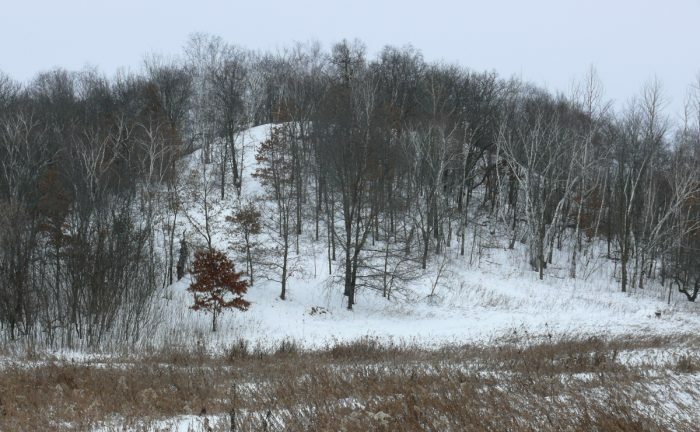 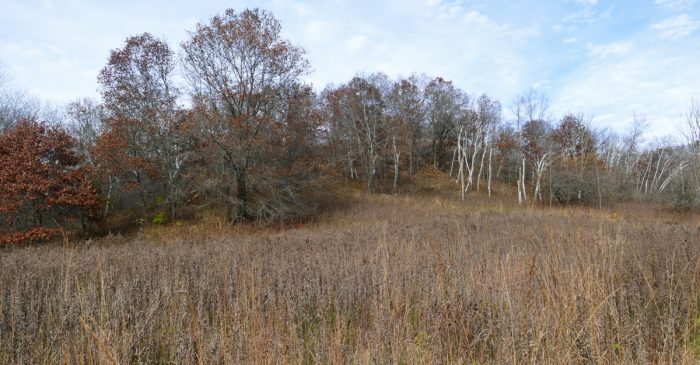 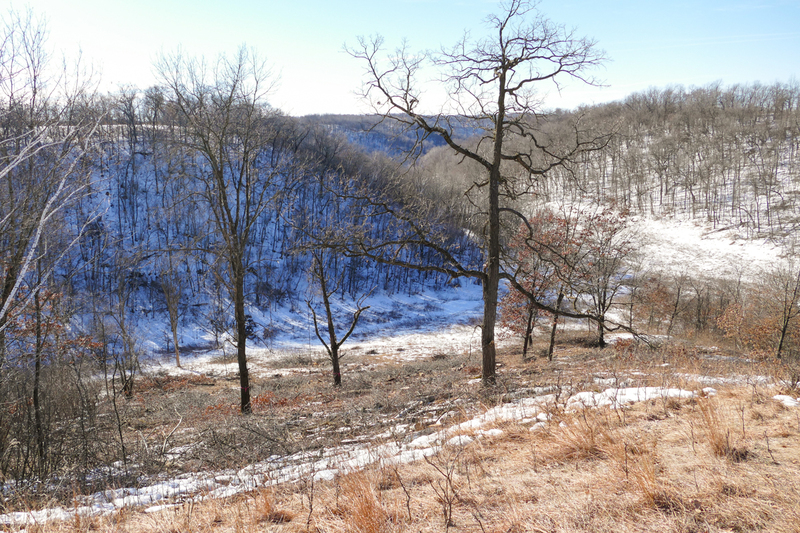 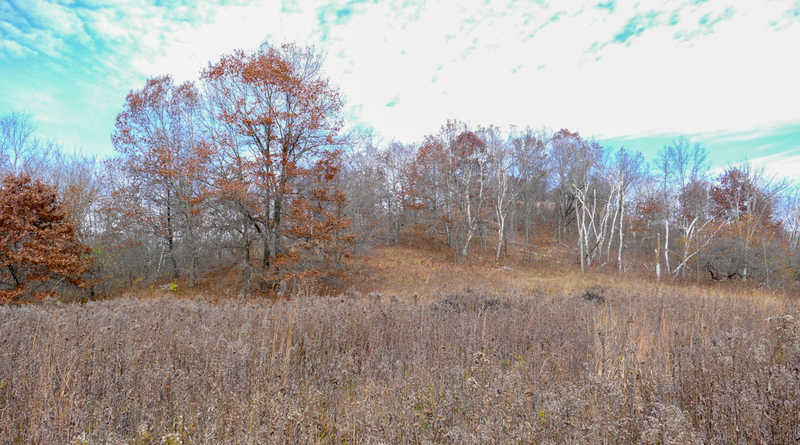 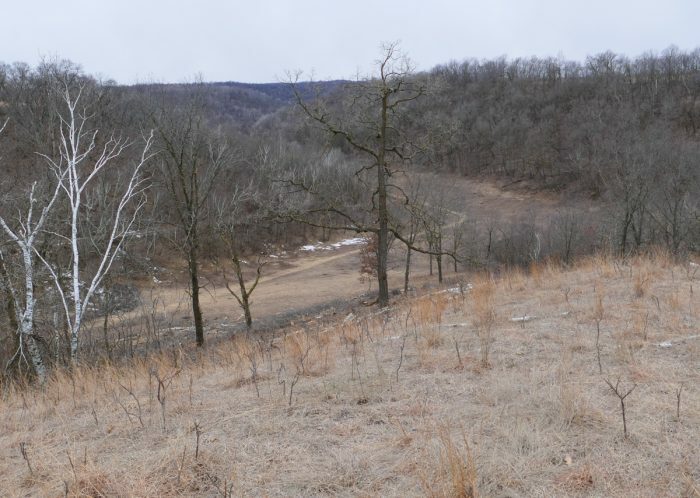 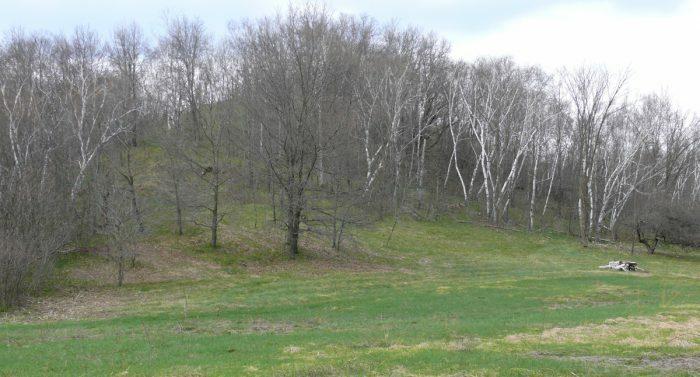 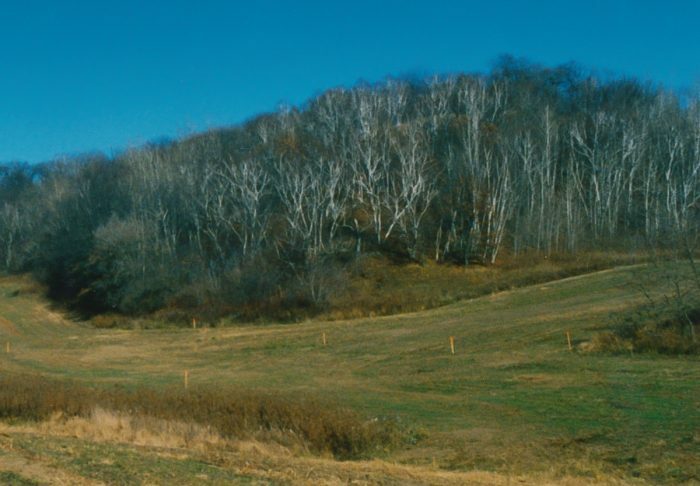 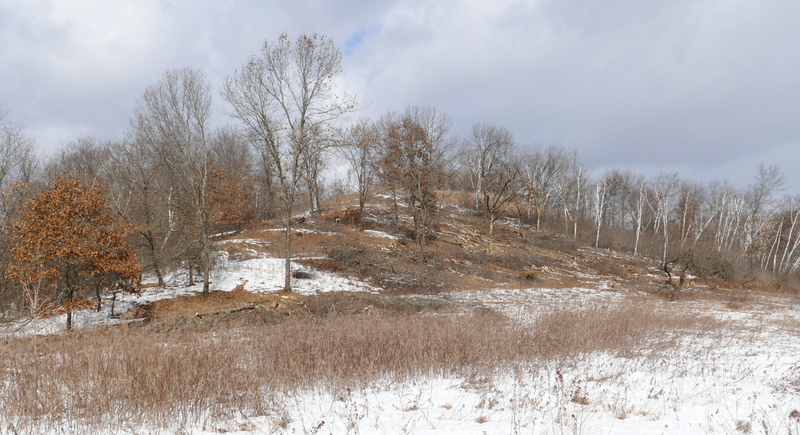 We’ve done several clearing projects on the south-east facing slope below the bluff prairie – I call it Hidden Oaks Hillside. 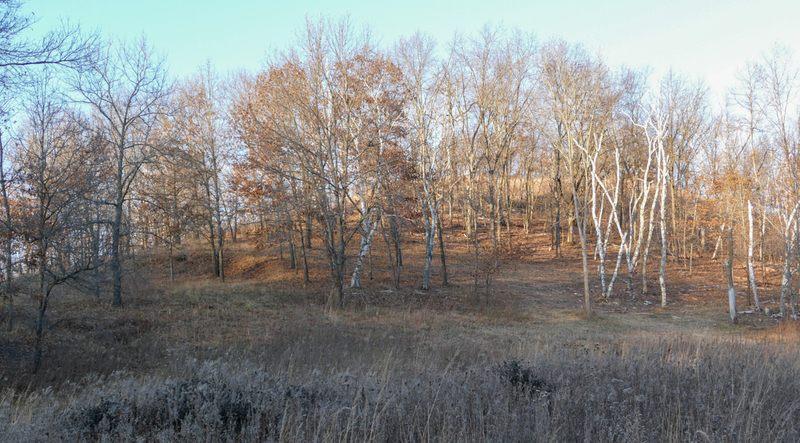 Over the years I’ve girdled aspen and birch, cut and treated brush, and we’ve cut and removed most of the fallen logs and smaller trees. 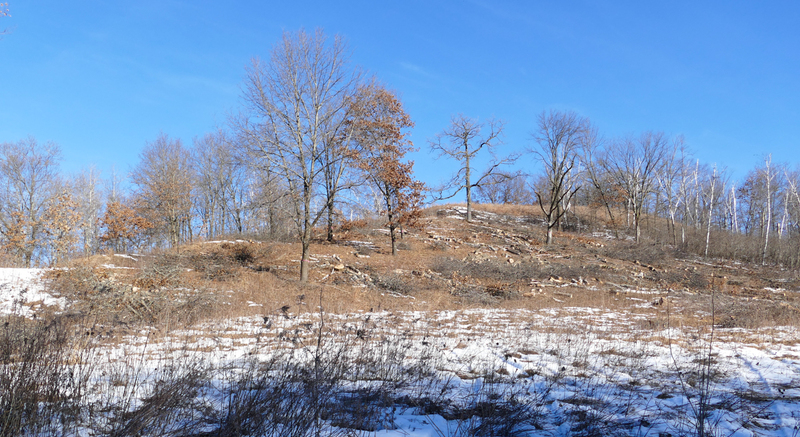 Then in February of 2017, the folks from ‘Ku-le Region Forestry cut the rest of the large trees, leaving only a few of the largest oaks. Here are photos that show the restoration of that hillside, starting when we bought the land in 2000. 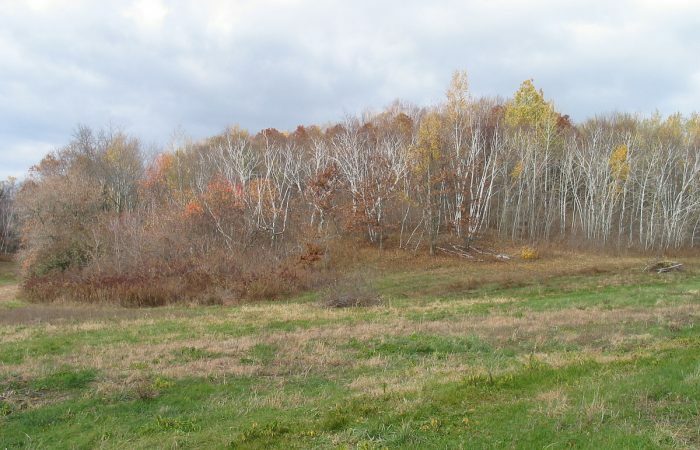 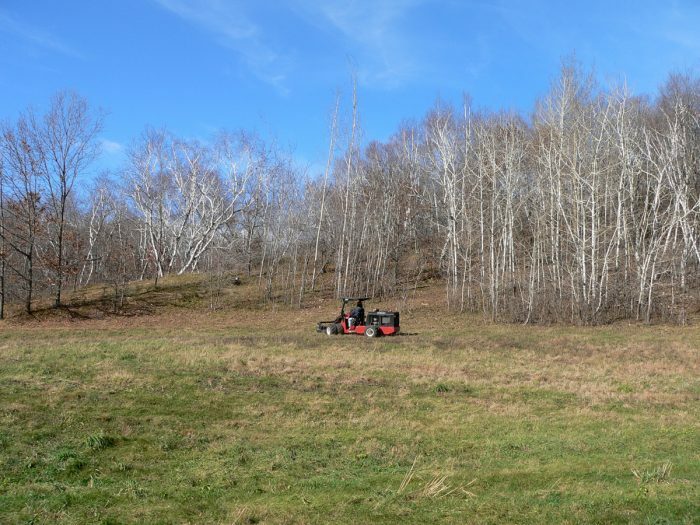 2003 This is the first project we did – cutting some of the birches, and mowing raspberries and prickly ash. 2004 Each of these next years we cut some trees, and mowed farther up the hill. 2007 This year we cleared along the ridge of the point, all the way to the top. 2015 This was taken after we’d cut most of the brush and small trees. 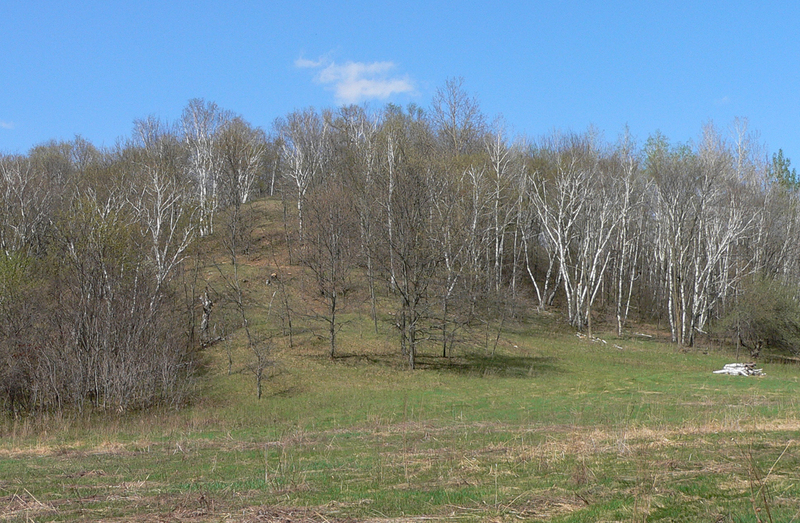 We left a lot of larger trees, and most of the dead birches. 2017 Taken half-way through ‘Ku-le Region Forestry’s cutting project. 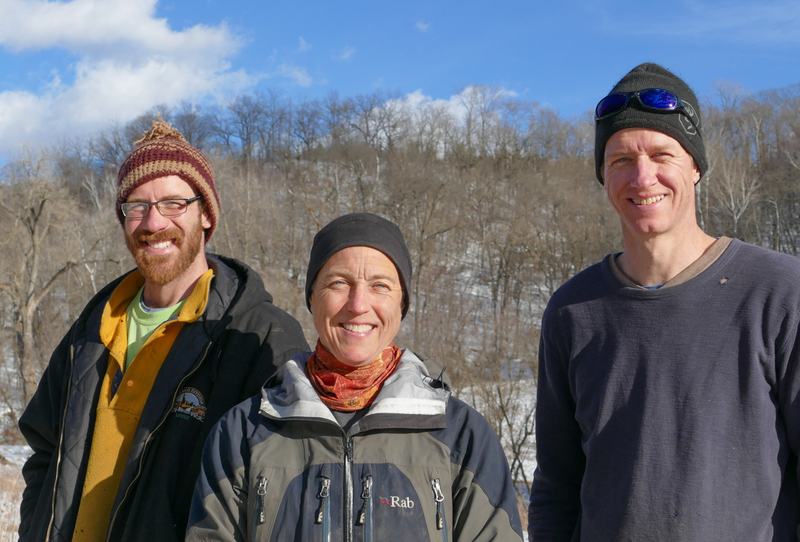 2017 They finished cutting – now we need to haul away the slash. 3/13/2017 After about 3 days of moving slash off the hillside. 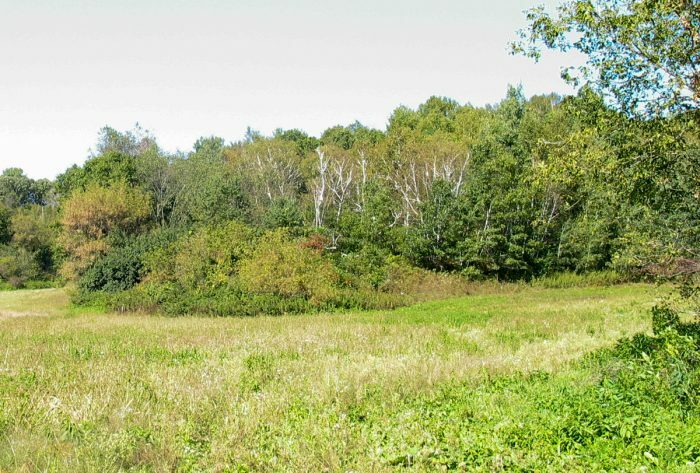 4/2/2017 We’re making progress, but not finished yet.